is a nice size to work with on T50 cores. Let's apply some power... nice... no smoke is released! 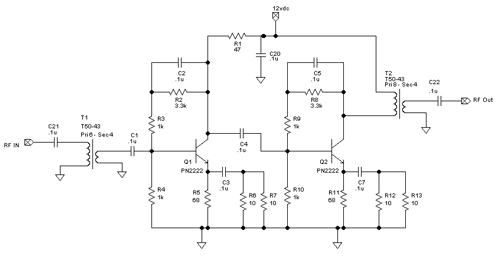 drive input and this circuit follows that model. The current draw is about 58.8mA. This amp is running in Class A mode. 10.140MHz because I have a larger project that I am working on at that frequency. 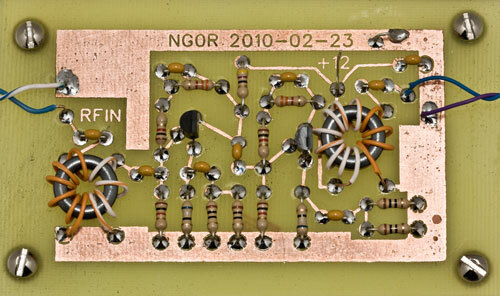 are quite a few other small signal NPN parts that you could drop in. to get the same level of gain. 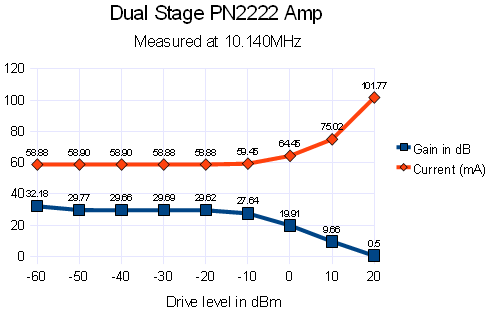 or pre-driver stage for an amplifier.